*Disclaimer: I received this wine as a sample from L’Ecole. Imagine me crooning that in an entirely off pitch sort of way. Because that’s what I’m doing as I write this blog post! I’m pretty much tone deaf though, so feel free to throw tomatoes and such at me as it’s a less than pretty sound. Anywho. In anticipation of the upcoming Wine Blogger Conference in Walla Walla Washington (which, sadly, I will be missing this year 😦 ) I received some wines from various Washington State Wineries. One of those wineries is L’Ecole. I think this is the last or second to last of the 6 bottles they sent, and overall I must say I find their offerings to be very strong. 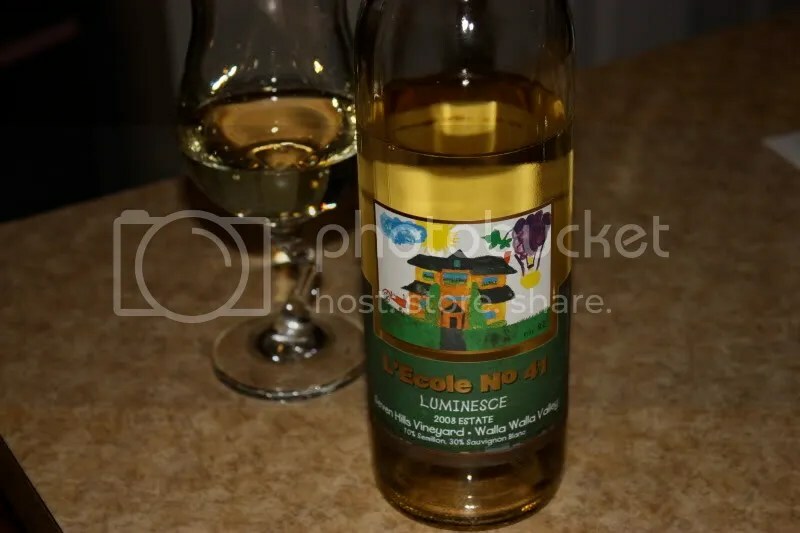 The 2008 L’Ecole No 41 Luminesce is a blend of 70% Semillon and 30% Sauvignon Blanc. 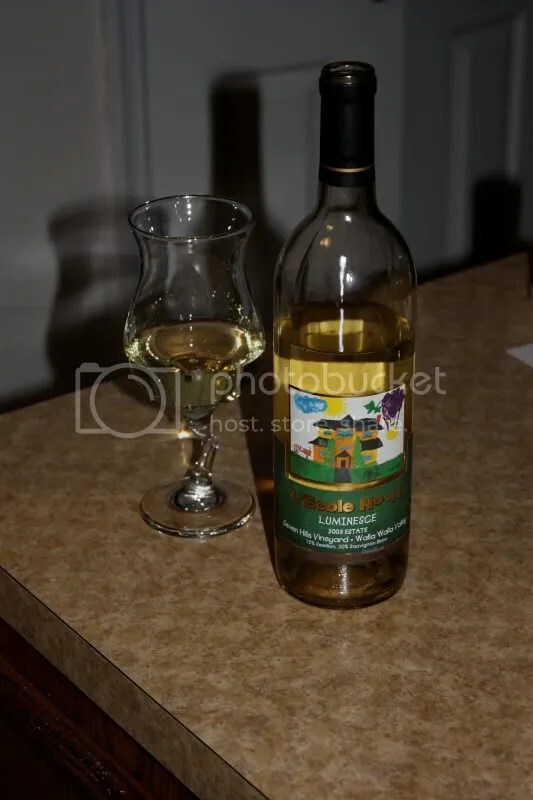 It had a real cork closure, clocked in at 14.2% alcohol by volume, and retails for $19 from the winery. On the nose I got bananas, tropical fruit, coconut, cream, banana coconut cream pie, honeysuckle, pear, and banana Laffy Taffy. In the mouth I found pineapple, tropical fruit, banana, honey, pear, orange peel, lemon oil, and lots more tropical fruit. The wine in the mouth instantly had that oily characteristic I associate with Semillon, but it also had nice acidity. 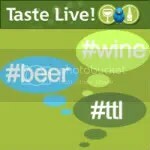 It’s unlike any other blend I’ve tasted and definitely worth a look! Laffy Taffy? That is awesome! I am going to have to try some now. (and share of course) Wish I were going to the Bloggers Conference too. Forgot to get tickets….OMG!